While this last one technically isn't a direct content marketing piece, I feel it's important enough to include in this week's roundup. The beginning of 2018, I spent countless hours researching, understanding, advising and reporting on Europe's GDPR legislation (in case you've been under a rock and didn't hear about the EU's widespread, powerful, heavy handed privacy laws that were put into place a few months ago, you can catch up with these past blogs on the topic: [INFOGRAPHIC] The Ultimate Guide to GDPR and Top 3 GDPR resources...because you're almost out of time!). I break from our normal top five roundup this week because this. is. happening. folks, and with California leading the charge with its California Consumer Privacy Act (CCPA) that was signed into law in July, we can all expect other states to follow suit soon. Data privacy is an important discussion we need to have in today's digital age, but smaller brands who are left caught off guard can suffer tremendous repercussions if they're not prepared to implement and execute however privacy laws play out in years to come. Stay tuned for more on the topic! 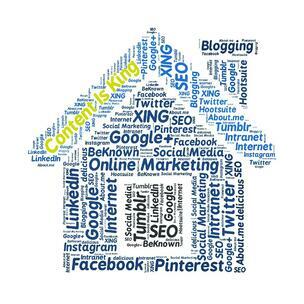 Content marketing is a key component in any marketing strategy. If you need help with your marketing plan, or just want to better understand the role content marketing plays in your overall big marketing picture, reach out to Flair today. We've consulted on, developed and managed content-based plans for clients who see real results, and that is what it's really all about.